Indon International is a global producer of case goods and seating for resort hotels, timeshares, casinos, and restaurants. 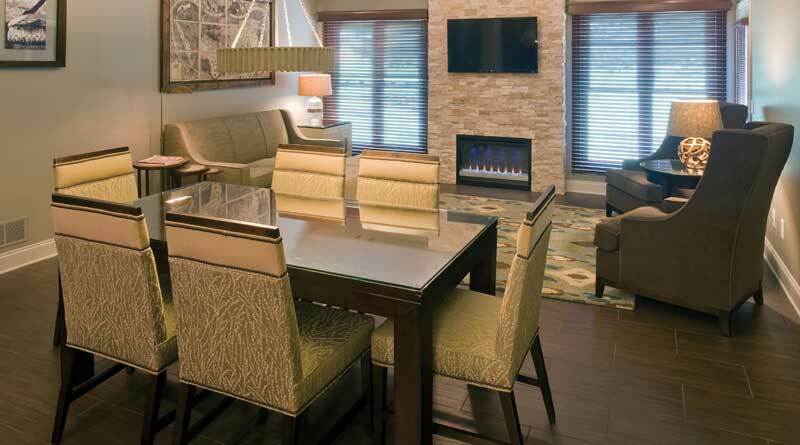 Founded in 1998 in Central Florida, Indon not only has its roots in the resort industry but is one of the oldest suppliers of custom furnishings servicing the resort hotel and timeshare market today. This beginning , coupled with the experience of management and key personnel in the hospitality industry, positions Indon as a key resource for any resort property looking for a furniture supplier capable of taking on the roll of a strategic partner. This is why time and again all of the major leaders in the resort industry have turned to Indon International. Effecting a residential feel in contract quality, working within fixed budgets, delivering in tight windows, and helping furniture actually become an asset are all components of Indon’s formula for your property’s successful project. Custom furniture begins with a concept. Often the direction is taken from inspirations of residential items or even singular components. Designers consistently challenge suppliers with new materials. A quality manufacturer understands the important task of taking an item never intended for a high use environment and engineering a product intended not only to last until the next renovation but also to highlight the creativity of the design, helping to differentiate the property, pleasing ownership and increasing sales. The Indon team loves this challenge. New materials and new designs also mean addressing budgets that didn’t necessarily consider new design directions. Without an experienced and well-staffed furnishings partner, prices can quickly get out of hand. Indon understands the advance budgeting process of resorts and the necessity of delivering the product within budget expectations. Often this requires a thorough understanding of not only engineering and acceptable VE options but also alternate materials that satisfy the design intent while provided consistent or better product life expectancy. We thoroughly enjoy discovering and proposing successful alternates to our clients. On one recent project we were able to save a client considerable money on sourcing an alternate glass that matched the fingerprint and scratch resistant qualities of the more expensive specified product. Knowing the timeshare industry as we do, Indon is very familiar with delivery windows. Whether it’s a new build unit that’s been sold, a renovation with a scheduled down week for installation, or a model unit , delivery is crucial. Indon has a rarely deviating full order delivery schedule of about 12 weeks – that’s factory to property doorstep. We constantly hear about nightmare delivery situations with other manufacturers, but be assured all of these challenges can be mitigated by adhering to one’s policies and procedures on the front end and properly managing the process. Furniture does not just happen. We know this. It has to be managed. And that is why Indon’s industry-seasoned project managers (who have worked for some of the largest timeshare companies and purchasing agents in the industry) use the best project management tools ever created for this industry. This is also why Indon values its long term logistics relationships. With our strategic partners we often have the ability to accomplish things that others believe not possible. In fact, we recently delivered a series of model unit furniture in record time. When beautiful furniture is delivered that is well designed, well made, and within budget it actually does become an asset. The furniture not only exceeds its life expectancy but it retains much of its original aesthetics. This furniture works for you while you are away. During their stay the guests will enjoy the design and functionality for years. They will leave their stay with great satisfaction and a fond memory of your property. Isn’t this the true meaning of Hospitality? We think so.